It’s Saturday morning and it’s quiet. Ivy was excited to see me this morning when I came downstairs. We we sat together outside for a few moments while I sipped my coffee and listened to the world. She followed me in when it was time to begin the day. It’s always quiet Saturday mornings, before the kids awake and move on to their activities. Several weeks ago, I alluded to working on a BIG project and handing it in. from : Quiet Saturday Mornings (9/5) ……. I reached a milestone, too, I finished a big project and I turned it in yesterday afternoon. I got the confirmation this morning. It’s too soon to write about, but I’ll report back when I receive news – keep your fingers crossed for me. Thanks. Thank you for good wishes. I received the news yesterday morning, and I wasn’t selected. The e-mail is below. Thank you for applying to the 2016 Understanding Sacrifice Program. The program was highly competitive this year, with 118 teachers competing for 18 spots. The committee commented at several points as to the level of talent, dedication, and commitment on the part of the teachers who applied. I am sorry, but your application was not selected. I would strongly encourage you to consider applying to our Normandy Institute for 2016. Thank you for your time and commitment to your students and schools. I was excited to learn of the Understanding Sacrifice 2016 Program. 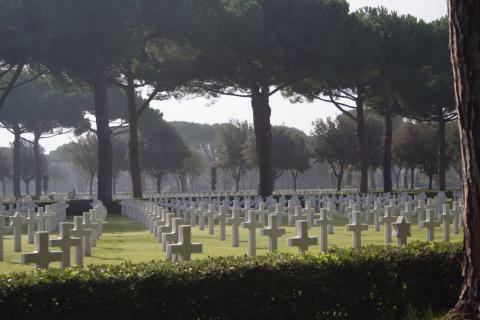 It is an 18-month long program of study with a conference in Washington, DC in early November and a trip to visit the American cemeteries administered by the American Battle Monuments commission in Italy and southern France. 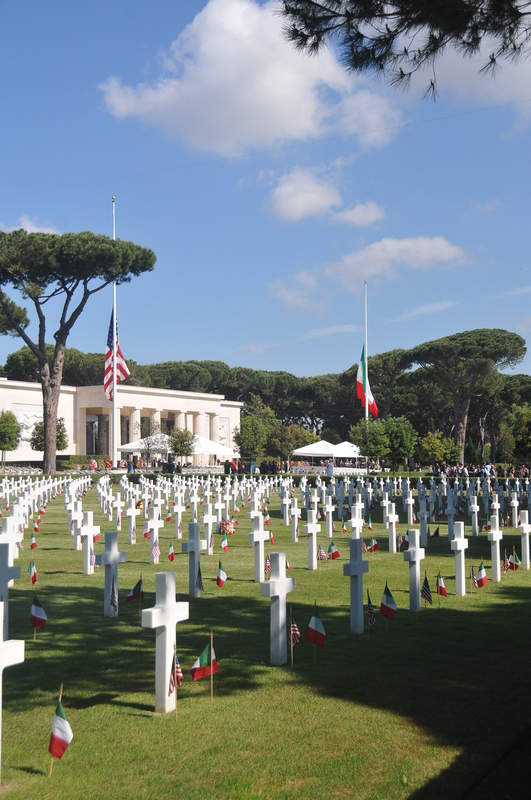 Sicily-Rome American Cemetery is one of the five, it’s near Anzio beach and south southeast or Rome. 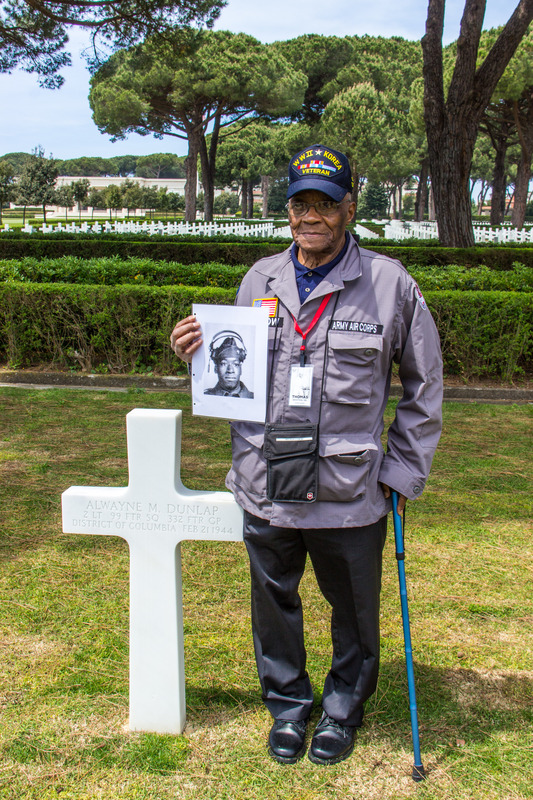 I’ve visited several three of the American cemeteries – all in northern France. If accepted, I would work with other educators and develop lessons and presentations for use in middle school classrooms So, I applied. It was a BIG project, putting the application together took time and energy. It made me reflect on why I teach, why teaching kids is important, and why learning history is important. I even had a Tuesday’s Tune started and set aside for the announcement of my acceptance – I’ll use it, but on a later date. Certainly, I am disappointed, but it’s one bump in the road of life. I have had many disappointments in life before and I will have several more, possibly even larger, ahead. In the larger picture, it’s a bump. In the smaller picture, I am disappointed. There will be more opportunities and perhaps I’ll apply and be chosen in the future, but, I am not going to let it get me down or change what I do for kids. This year we will be at school on Veterans Day – the first time in my teaching career. I am excited, because it is an opportunity to help my students understand what sacrifice and service mean in the context of learning and growing. I don’t have to be in the program to do it. Last year, I created a video to share with my students and wrote a reflective post. Remembrance. This year, we’ll develop a program and lessons for the day. We’ve already begun the initial steps in the planning process. Meanwhile, early Saturday morning has drifted into mid-morning. So, I’d better get moving and making the day count in other ways besides my writing and reflecting. W has a football game, O has a softball game, and I have chores, planning, and grading coming out of my ears – so to speak. It’s gonna be a great day, I know it and I can feel it so I’d better jump up, jump in, and seize the day. Making the Days Count, one day at a time, one small step forward for every step back, but moving forward – all the time. What was your last setback? Did it get you down, or move you forward? What a cool opportunity. Even if it didn’t work out this time, I think it was brave of you to put yourself out there and take the chance. How will we ever discover new adventures if we hide ourselves away, right? Clay, first I’d like to say congratulations on getting your application completed and turned in! That is a major accomplishment itself. Fear and procrastination prevent many of us from even trying. Also thanks for sharing the journey, and being real. Very powerful. I’m disappointed they didn’t choose you this time, and hope you apply again. You are welcome – I follow the Facebook feed for the ABMC and get daily reminders of the sacrifice of our military. One of my high school classmates travelled back to the Netherlands this past May to visit the grave of her great uncle who died after his plane crashed in Holland in 1944 or 45. The village has adopted the cemetery and cares for all 8000+ graves – in addition to the ABMC. It was a heartwarming story this past Memorial Day… here is the story: Americans gave their lives to defeat the Nazis. The Dutch have never forgotten. Have a wonderful week! It seemed a wonderful opportunity, and no wonder it was so keenly contested. But a positive person like you will always find new ways of learning and challenging yourself. Onwards and upwards! It was a great opportunity and I’ve bounced back already, I shared it with one class, but I’ll share with all today – it’s been busy at school and home the past several days and I am behind in almost every part of my life. Thank you for the boost – there will be other chances to present themselves – the anniversary of America’s involvement in the First World War is coming and I am certain there will be opportunities to visit the cemeteries in northern France closer to the centennial – 2017-18. I’ll keep my eyes open. Thanks for the reminder that there is a purpose for disappointment. Everything has a purpose, it’s easy to miss it. Thanks and have a wonderful day! I had been working at a restaurant, on the beach (Beach Chalet), figured I had chilled out…and I had, but after a year back at this job…sometimes you just shouldn’t move backwards. I am trying to move forward and trying to get some things changed, that should have been changed within the last year. I am also working on my resume and looking for another job, closer to home (Walnut Creek), as this 2 1/2 round-trip per day feels like a waste of time. BUT…not one to dwell on the negative…some things have changed and I hope more things will, too. Hopefully before the Holiday Season begins…you remember the Holiday Season in a restaurant – don’t you?! How could I forget the holiday season in the restaurant business! – it almost ruined the season for me. I know what you mean – throughout my career in education I’ve bounced from subject to subject doing what is needed, while other teachers have stayed in the same subject and honed what they do. Beth has asked why I stay – comfort and security is the first reason that comes to mind and there are a myriad of reasons why, but I digress. This year I am teaching history – almost full time for the first time in my career. it’s a blast and I always look for novel ways to help and grow my students, as well as my instruction. – regardless whether it’s science, social studies, or ELA. I am having a blast, but i am also sharpening what I do, make it meaningful for the kids and I. Hang in there, I LOVE your second comment – it is a wonderful thing to remember we are here to do God’s work first, and our work second. Have a wonderful week.